What can you expect in London? 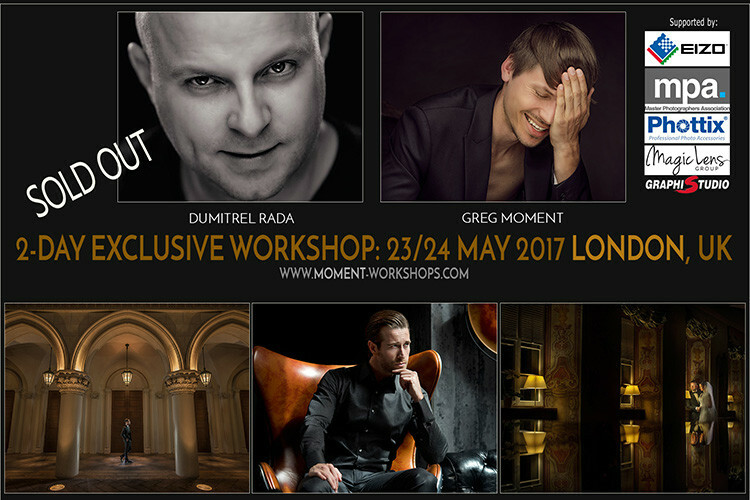 This time Greg Moment (www.moment.com.pl) provides two-day-long workshops for wedding photographers in London, the United Kingdom together with Dumitrel Rada. His first workshops were promoted by Nikon (www.nikonisti.ro/articole/workshop-fotografie-de-nunta-cu-dumitrel-rada/1805) which helped to generate more interest than he could imagine. He now hosts regular workshops to not only share his knowledge with others, but to challenge himself constantly. ► You will see how Greg Moment and Dumitrel Rada create vision and style in Photoshop. The workshop starts in: 82-84 St. Martins Lane, Covent Garden, London, Greater London, WC2N 4AG. Day Two: Fairlop Waters 177 Forest Rd, Ilford IG6 3HY, London. Group about 20 photographers. Way of payment: PAYPAL or contact us to find the most convenient way of payment for you. Early birds: 350 GBP !!! (paid before 30.04.2017.). Every Member of MPA receives a discount: -10%! 150 GBP deposit is required to reserve a seat. Cancellations made less than 3 weeks before the workshop are non-refundable.